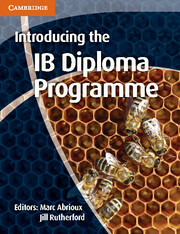 An ideal reference guide to introducing the IB Diploma in your school. Schools wishing to introduce the IB Diploma Programme are faced with major investment in terms of time, effort and money in order to become authorised. They also need to articulate why that programme is the most suitable one for their students. This manual is an invaluable resource for schools already offering the Diploma as well as for prospective Diploma schools. It covers where to start, the philosophy of the IB, how to become an authorised IB school and contributions from over 70 DP experts including practitioners, school leaders and examiners.